Starting with a baby's very first journey home from the hospital, parents are responsible for making sure that their kids travel safely. Unintentional injury is the leading cause of death in children, and more children die in automobile crashes than in any other type of unintentional injury. Carefully follow the car seat manufacturers instructions and your automobile owners manual for proper installation of your child's seat. 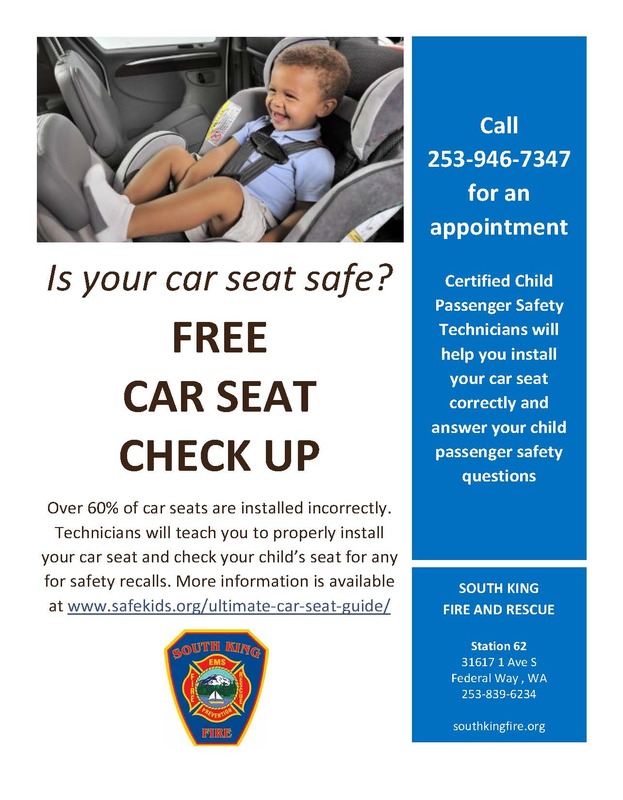 Contact us at 253-946-7347 to make an appointment with a Certified Car Seat Technician to check your child's car seat at one of our fire stations.